Another book I read—loved this one—and didn’t have time to review. (The Chaffey library is closed for AP testing, so I’m sneaking in a few reviews in the hope that you’ll find some good summer reading.) I’ve recommended it to students, and everyone who read it said s/he enjoyed it. I found this an original take on werewolves, loved the romance, and even had fun with the chapter headings, which include the outdoor temperature changes as time passes—because the werewolf Sam, who exists in much of novel in human form, will change back to a wolf when the temperature drops too far. (OK, my Southern Californian pupils, this all takes place in Mercy Falls, Minnesota. For those of you who haven’t traveled, that’s spelled B-I-T-T-E-R C-O-L-D.) And so the clock ticks on his romance with Grace. Ironically, passing time brings them closer as they understand how perfectly their personalities and desires dovetail; but passing time also dooms them to separation when Sam will become a wolf and, being of the right age, will not change back to human form ever again. As a child, Grace was attached by a pack of wolves. (She doesn’t turn into a werewolf, but she does get a few superhuman perks.) One yellow-eyed wolf saved her. Yep, that’s Sam, and when she meets a yellow-eyed boy, she has a pretty good idea who he is. As a werewolf, Sam has been mentored by Beck. There are other werewolves in the pack, some not so benign. When a teen is killed by a wolf pack, the community rallies to destroy the wolves, and you are pulled into the story, unable to put it down. True, Grace’s parents are conveniently and wildly negligent, but this does give her a lot of time to be alone with Sam and to conduct her life by her own sights. I didn’t like Twilight, but I can certainly see a connection here—I believe you Edward fans will love Sam. (Plus, the romance is a little steamier—no cold vampire thrills here.) And this, too, is a series, so you can happily continue this odd love story. 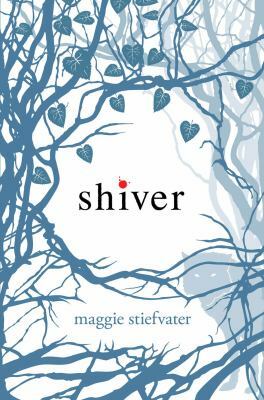 This entry was posted in Fiction, Horror/Mystery/Suspense, Romance, Supernatural, Young Adult Literature and tagged JLG, Junior Library Guild, werewolves. Bookmark the permalink. me realize in order that I may subscribe. Thanks. I checked the email link and it worked for me. Sorry you weren’t able to access it!